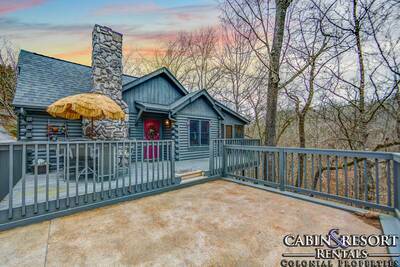 Welcome to Bear View in Gatlinburg! 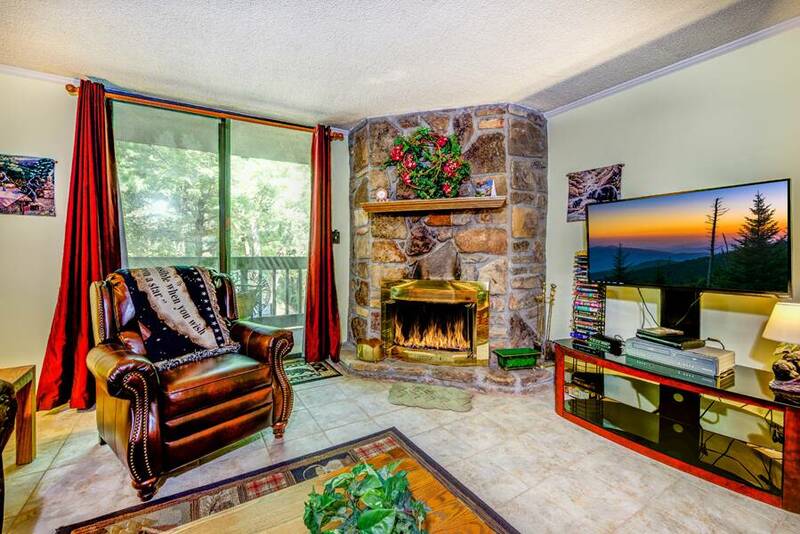 This adorable 1 bedroom, 1 bath romantic Smoky Mountain condo rental is an incredible place to spend your next vacation. 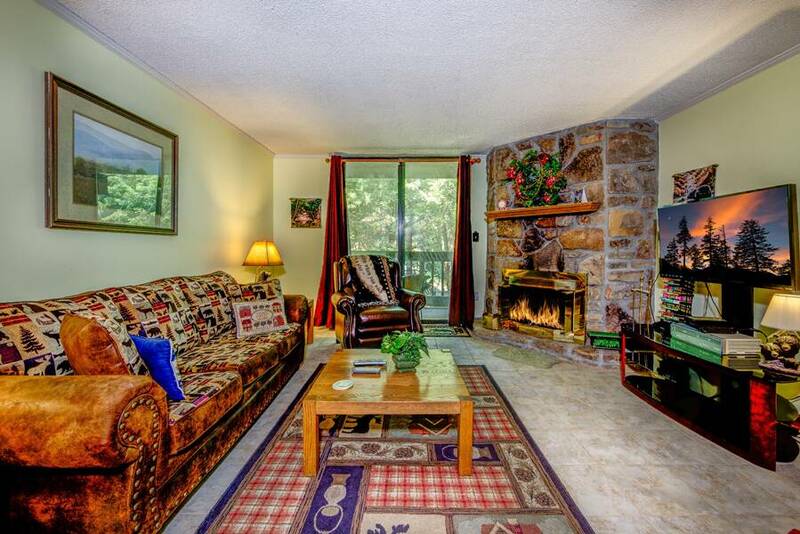 The relaxing living room features a leather sofa, recliner, stone accented fireplace, patio access and a super romantic indoor two person jetted tub. 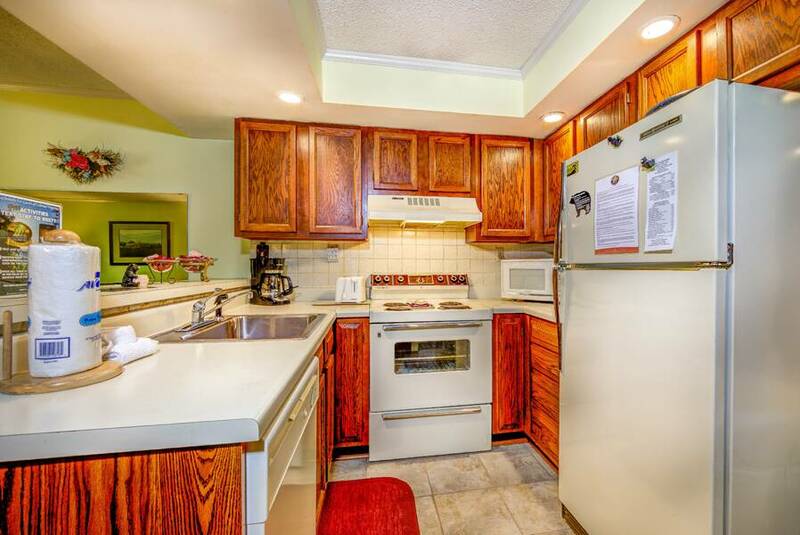 You’ll enjoy cooking your favorite meals in the fully equipped kitchen. You’ll have all the utensils and appliances needed to prepare a yummy breakfast, delicious lunch or romantic dinner. 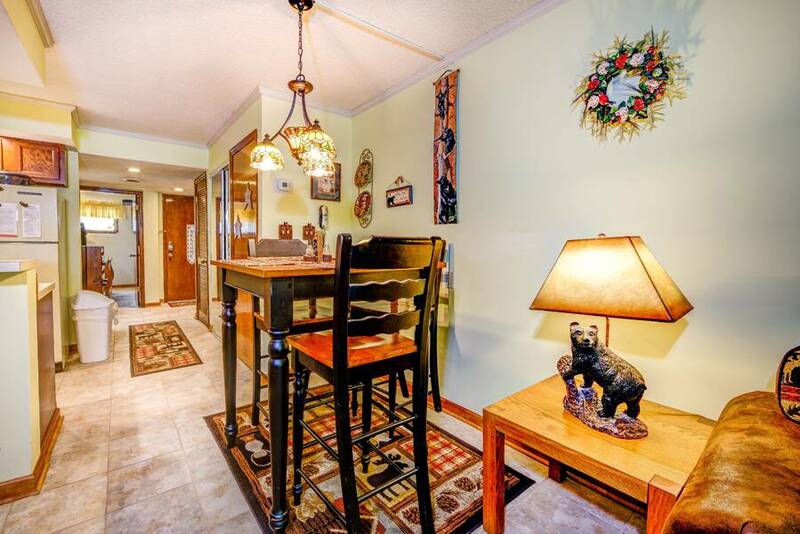 Located adjacent to the kitchen is a dining area that comfortably seats up to 4 people. 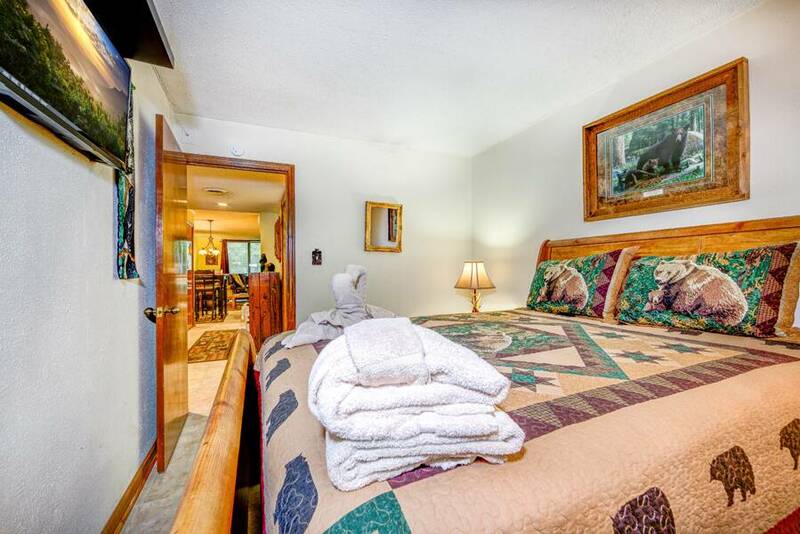 Get a good night’s rest in the comfy bedroom - with beautiful décor, cozy atmosphere and nearby full bath, you are definitely going to enjoy catching up on some much needed rest while you’re on vacation in the Smokies. 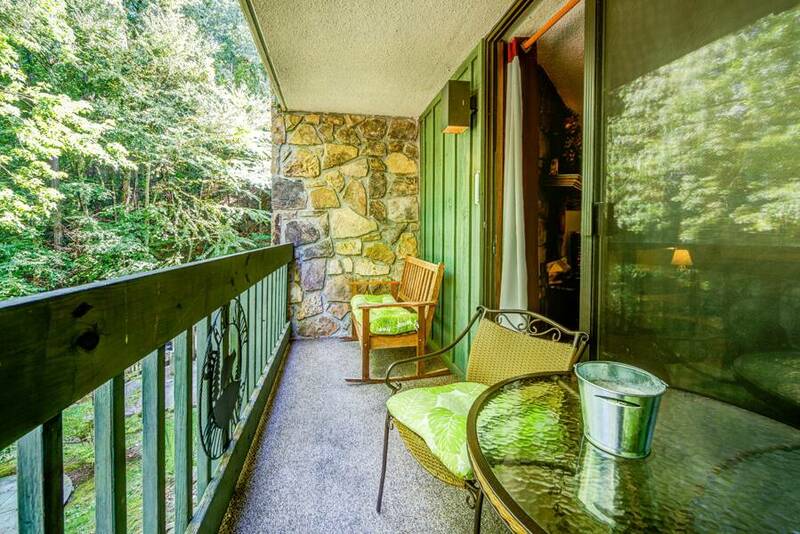 Step outside from the living room onto the covered patio with seating to enjoy a fantastic crystal clear mountain stream view with the beautiful forest all around. 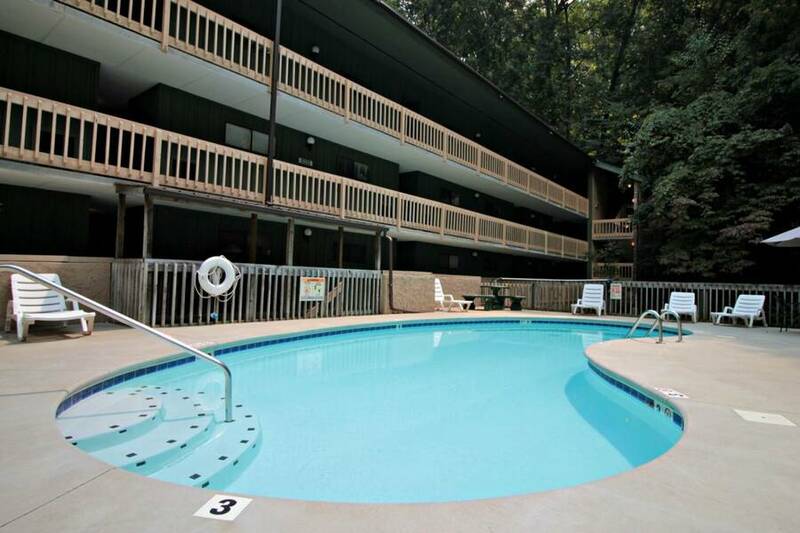 In season, spend those hot summer days relaxing next to the outdoor pool. Read a book, catch some rays or go for a swim! 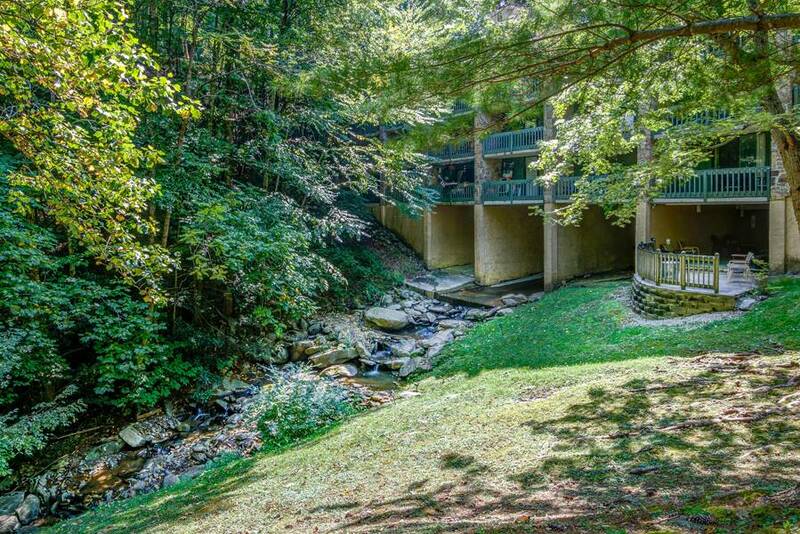 The swimming pool is located right next to a beautiful Smoky Mountain stream with waterfall area. 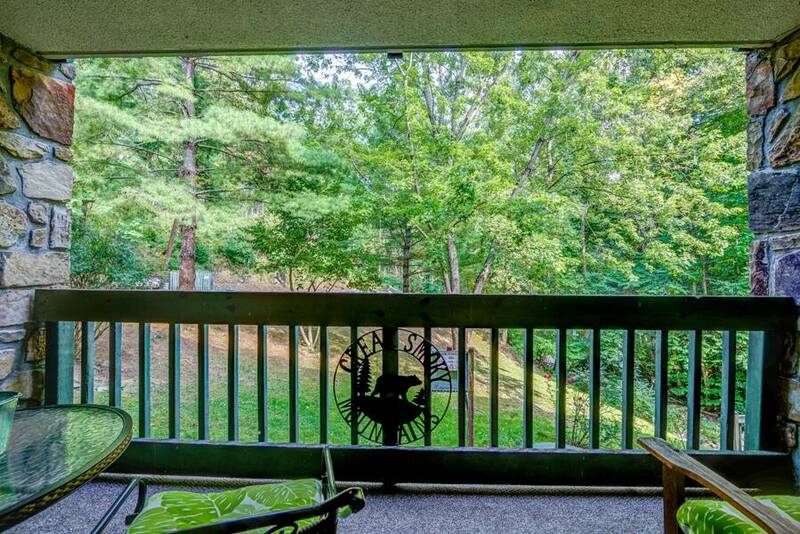 Bear View is conveniently located only 1.5 miles from the downtown Gatlinburg Parkway and only 1 mile from Ober Gatlinburg Ski Resort and Amusement Park. You’ll have quick access to explore the streets of Gatlinburg, go shopping, grab a bite to eat or enjoy any of the numerous attractions. 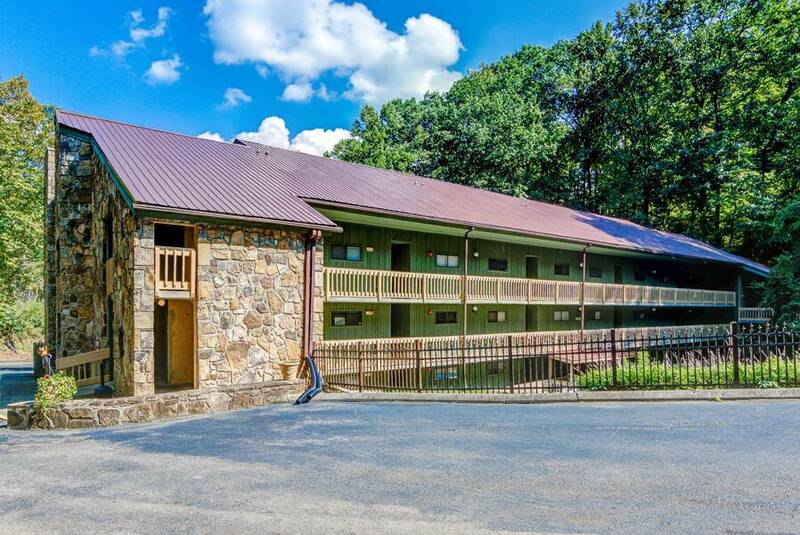 When staying at Bear View, you’ll also be located only 1.5 miles away from the entrance to the Great Smoky Mountains National Park. 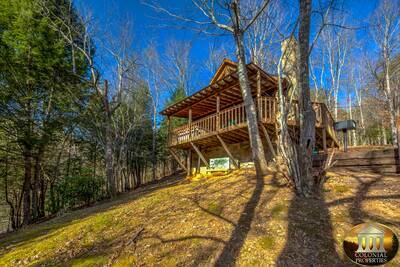 Take a drive up to Clingmans Dome, hike to the Chimney Tops or see some wildlife in Cades Cove. 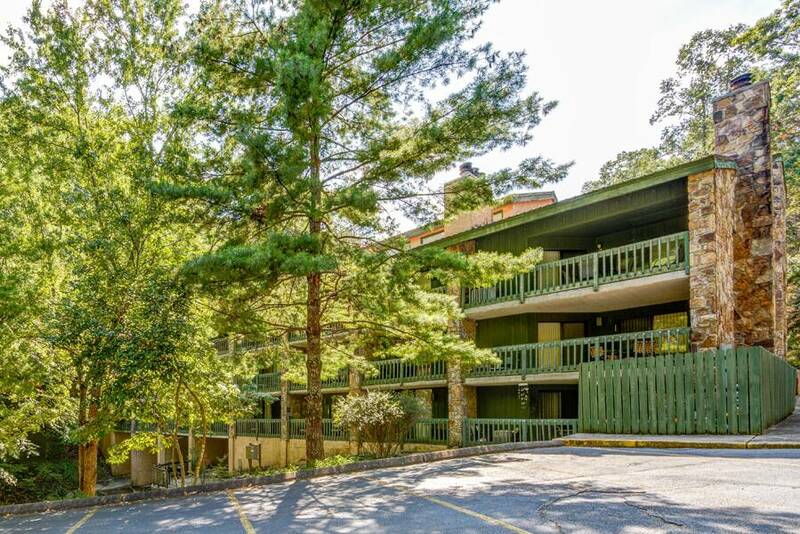 If you’re searching for an affordable, comfortable, convenient, cozy and relaxing Gatlinburg getaway, then Bear View in the Smoky Mountains is the perfect place to be! “ Loved the condo! Only minutes downtown but felt like we were a hundred miles away. Quiet, peaceful and beautiful scenery. The waterfall outside the condo was very relaxing. A great weekend away for some much needed R&R. 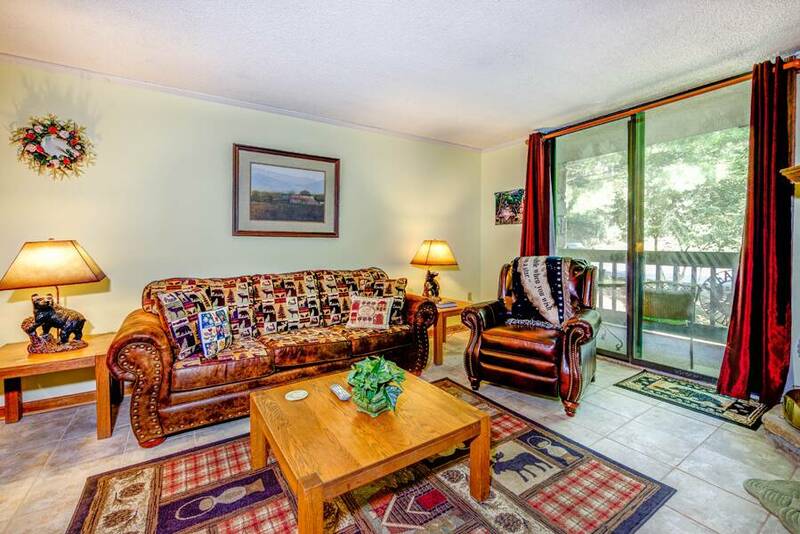 “ The condo was clean, well furnished with everything you would need. Never paid for a meal the whole time I was there. No noise, nice peaceful setting. “ We have stayed with Colonial Properties for 3 years.We love our experience with them. Thank you for being very helpful and so nice. 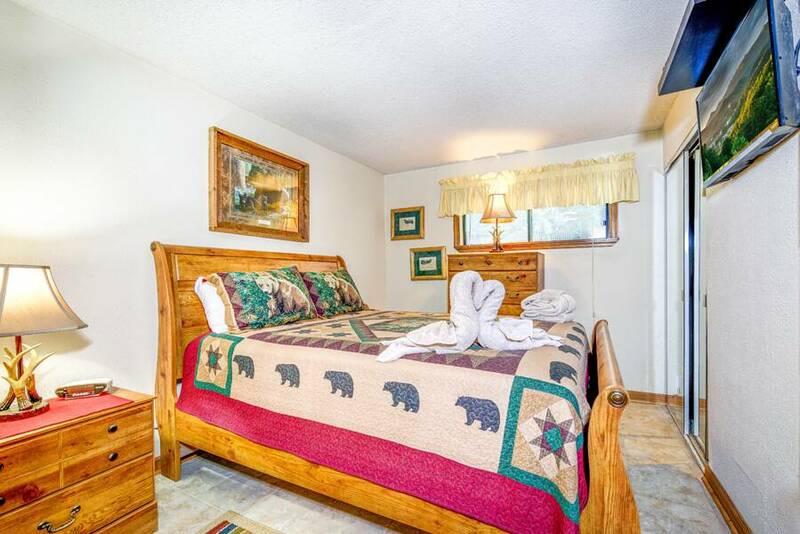 “ Room was nicely decorated and clean. Did a lot of cooking and kitchen has everything we needed. Location was good for us near Gatlinburg and park. “ Overall has a great time and liked spending time alone with my husband of 31 years. “ We had a great time. The condo was quiet. We had no neighbors this weekend. We highly recommend the Pancake Pantry. We didn't see any bears here but we saw plenty in Cades Cove! “ Great Condo! 10th Anniversary trip! Perfect! Can't wait to come back! “ It was our honeymoon getaway. Even though it wasn't far from home, it was a perfect place to stay. It was quiet and you had a lot of privacy. The place had a lot of room for just the two of us and we really enjoyed our stay. It was very close to Gatlinburg and we enjoyed that as well. 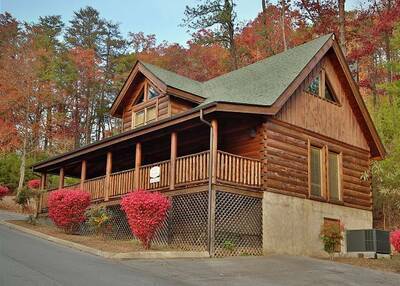 WE would love to return with a set of friends and spend the weekend. 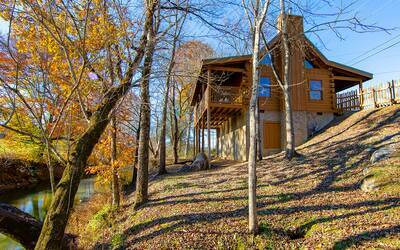 I would recommend this to anyone looking for a getaway! “ Our first vacation in 16 years and we could not have gotten a better place. It felt isolated but was really close to town. We did not want to leave! “ Overall, I have had a wonderful experience booking through Colonial Properties. They are very helpful, very kind and always customer oriented. “ We really enjoyed our retreat. It was very peaceful. The area was quiet and the view was very pleasing. 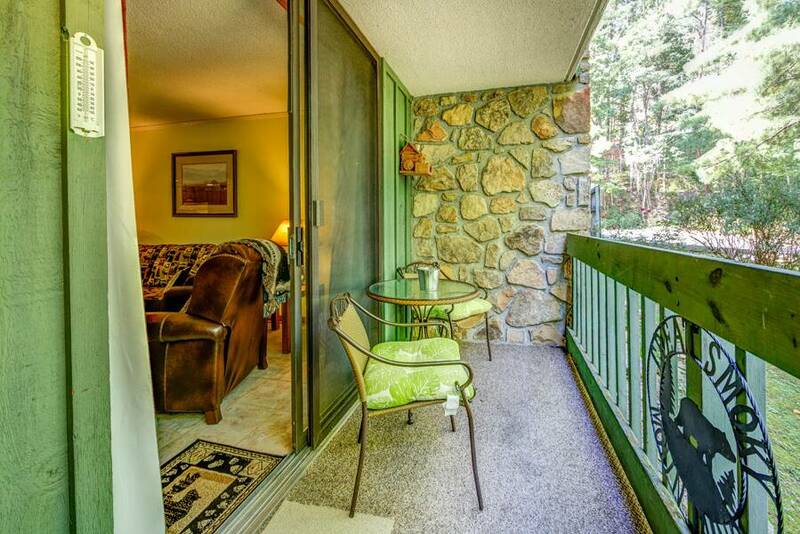 The balcony area with rocker bench was a great bonus that we took full advantage of. Fantastic getaway. Access to everything. Would recommend this place to friends and family! Bravo!! “ We had a wonderful time and the condo was nice. 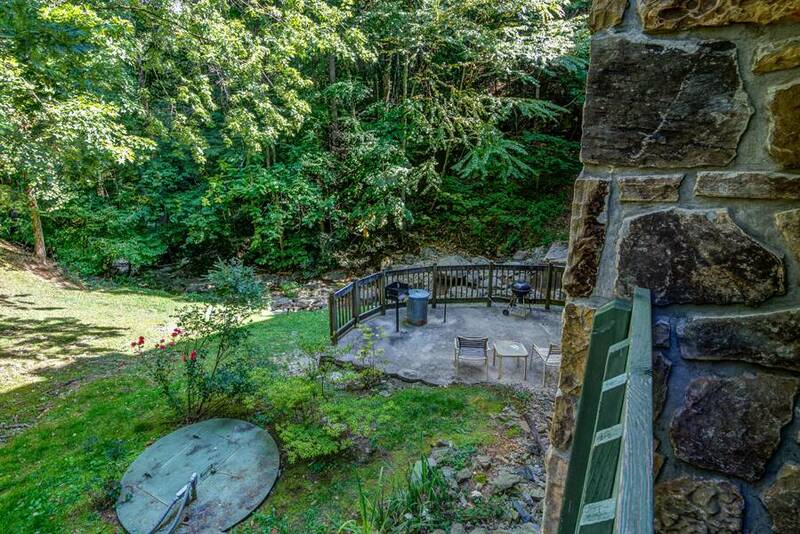 Loved the balcony and the creek. “ Fabulous place for the convenient price! Nice outdoor pool area and constant sound of a babbling brook to relax you! Would definitely stay again for the price and location! “ We loved the condo. It was everything we hoped and more.... It was unexpectedly cold and we had lots of snow but it was beautiful and we so enjoyed our stay at Bear Veiw. The condo was properly appointed and well maintained. 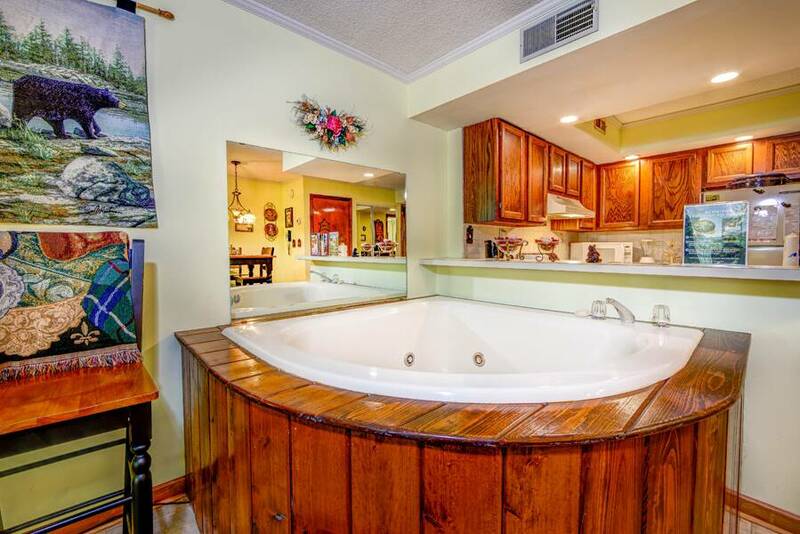 The bed was comfortable and the hot tub in the living area was a nice touch....... a wonderful place to vacation or honeymoon.... Thanks, Colonial Properties! 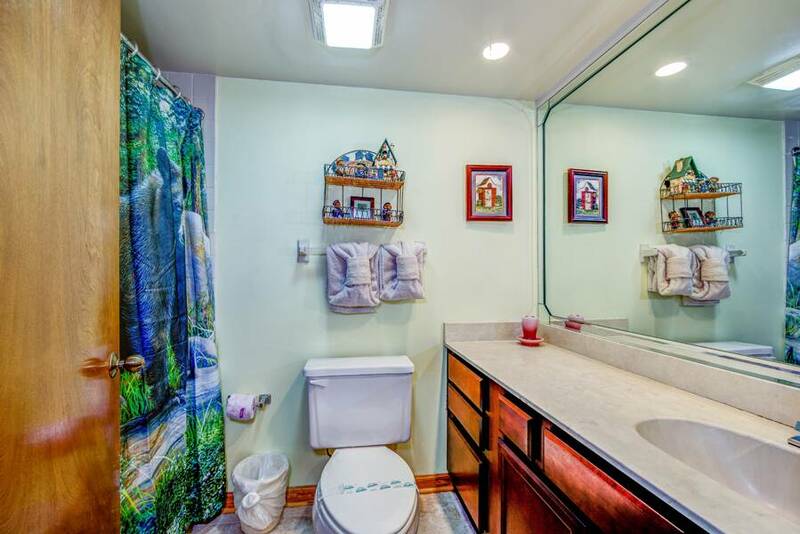 “ Condo was great Very clean. We loved being so close to town too! “ Would recommend for family & friends! Everything was perfect! “ Enjoyed our stay. It was a Mothers Day getaway. Had a wonderful time at the Bear View condo. It was great seeing two black bears by the second night... Great location and your chances of seeing a bear are true. “ We really enjoyed our stay!